Writer Donny Cates conjures up mischief with our newest Sorcerer Supreme! 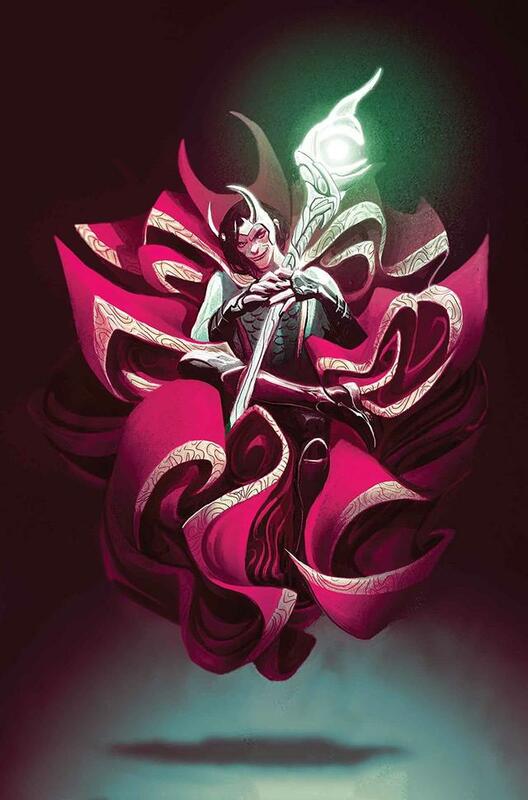 What would happen if Loki, the God of Mischief, became the Sorcerer Supreme? That’s exactly the question that writer Donny Cates tackles in the upcoming DOCTOR STRANGE #381. We may not know what Loki is up to yet, but we do know one thing – it won’t be boring! We caught up with Cates to find out more about what we can expect. Marvel.com: Loki obviously doesn’t have the same altruistic leanings as Stephen Strange…as the Sorcerer Supreme, will he use his role to further his own ends? Donny Cates: Hmmmm, yes and no. That question there is really the heart of Loki, right? He’s so much fun because you never know the rules of whatever game he’s currently playing. So yes, he probably is using his role to serve his own needs….but what if his needs are altruistic? Is he still being selfish and underhanded if the result is a net positive? I’m not saying that’s necessarily the case here, but I wouldn’t ever get too comfortable with how you perceive Loki and his intentions. Marvel.com: Stephen has a lot of experience when it comes to sorcery, but Loki has been doing it even longer. How will that inform how he approaches being Sorcerer Supreme? Donny Cates: Well, at the end of the day, this is still very much a book about Stephen Strange. So, it’s very interesting, because on the one hand you have this GOD who is now insanely powerful in his new role….and then we have Stephen. I can’t say much about where Stephen is in this arc, but it’s unusual, and more (ahem) low-key than anything we’ve ever seen before. So it’s a nice dichotomy between the two. 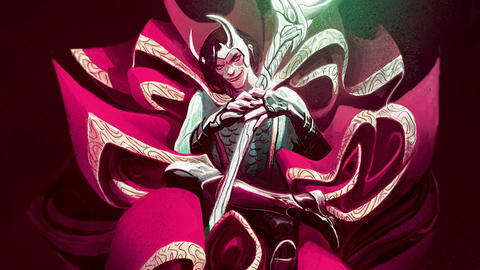 Marvel.com: Loki is, of course, the god of mischief. He doesn’t have the same reverence for authority as some of the more “heroic” characters. It seems like he’d have a lot of fun in this role. He could definitely mess with people. Donny Cates: Oh for sure! As is said in the first issue, Loki is not, nor has he ever been, overly fond of “the rules.” So he kind of bumps up against this idea of magic having limits and prices. He’s not into it. And that leads him, and us, down some rather dark roads. Marvel.com: Still, Loki often chooses to do the right thing. He might not want to admit it, but he does care. So can we expect to see him using his authority for the greater good, as well? Donny Cates: Yeah, that’s what’s so amazing about him as a character these days. Even when he WANTS to do something good, no one on Earth (or in any realm) believes him. Everyone still thinks of him as this mustache-twirling villain, but that’s not really who he is anymore, right? He’s much more complicated. I should mention though, that whatever supposed heroic deeds Loki has planned, or how well his intentions are….the good Doctor will be having none of it. Stephen doesn’t trust Loki as far as he can throw him, and he will stop at nothing to see his home, his cloak, and his title returned to him. The lengths Strange will go through to see his livelihood returned to him…that’s the real story here. And I promise you can’t fathom what those lengths will be. You’ve never seen Doctor Strange like this. Marvel.com: Would you like to mention or tease anything else? Donny Cates: If I were a betting man….I’d pay A LOT OF ATTENTION to the second issue of my run. 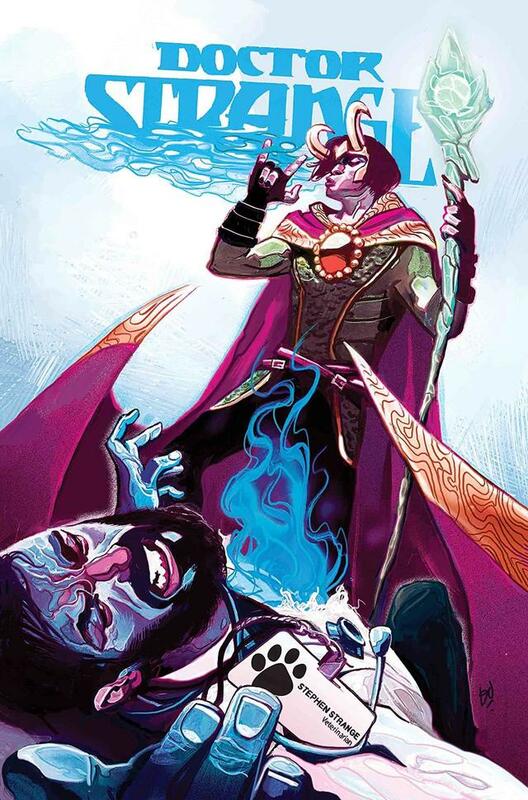 DOCTOR STRANGE #382 is a big one folks. I’ll see you there! DOCTOR STRANGE #381, by Donny Cates and Gabriel Hernandez Walta, hits shelves on November 15!